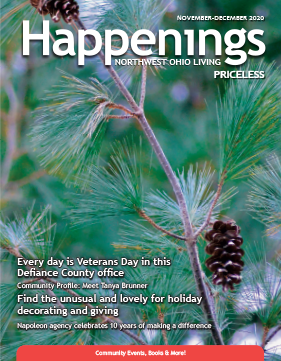 “Happenings” offers a blend of short and snappy articles on relevant and timely topics for everyone, served up with a convenient calendar of local events that are sure to be of interest to all age groups. The magazine is presented in an elegant, clean format that is easy on the eyes and a delight to read. We feature beautiful photography, fast and fun recipes, gardening tips, parenting information and practical health updates. But the focus is on what’s happening locally and regionally. “Happenings” is a purpose-driven publication that gives you all the information you need right at your fingertips. We invite you to read the latest issue and consider becoming a contributor or advertiser. Contact us today!